Below you will find a list of answers to frequently asked questions regarding orders, shipping, returns and more. What is Herschel Supply's policy on Price Matching? If an item available on our website is available at a lower price (including taxes and shipping costs) on an authorized retailer’s website, we will match the price. Please send us the hyperlink for the product on the retailer's website through our contact form or Live Chat and your order number from our website (if applicable) to begin the price matching process. This offer is only valid prior to purchase or within 30 days of purchase from our website. This offer is exclusive to online purchases and is not valid in-store. To qualify, the price must be verifiable, and the item must be: (a) identical to the comparison product on our website, (b) immediately available on both websites, and (c) available in the same country/region on both websites (e.g. Canadian retailers will be compared to prices on our Canadian website, www.herschel.ca). This offer does not apply to reduced pricing due to coupons, rebates, close-outs, liquidations, limited time offers/sales, or pricing errors. Herschel Supply product that is purchased on our website (excluding promotional or sale items) can be returned or exchanged within 30 days of the purchase date for a full refund in the amount of the purchase excluding shipping costs. Refunds will be issued to the original method of payment. All merchandise must be returned unused, unwashed and be accompanied by the original hang tags and packaging. The condition of the product is left at the discretion of Herschel Supply. Products in non-resealable packaging must be returned with packaging intact. Products equipped with Tile Bluetooth trackers may not be returned once the Tile has been activated. Herschel Supply product that is purchased on our website (excluding promotional or sale items) can be exchanged within 30 days of the purchase date. All merchandise must be returned unused, unwashed and be accompanied by the original hang tags and packaging. The condition of the product is left at the discretion of Herschel Supply. Products in non-resealable packaging must be returned with packaging intact. Products equipped with Tile Bluetooth trackers may not be exchanged once the Tile has been activated. Our Luggage & Apparel Limited Warranty is listed in section 05. 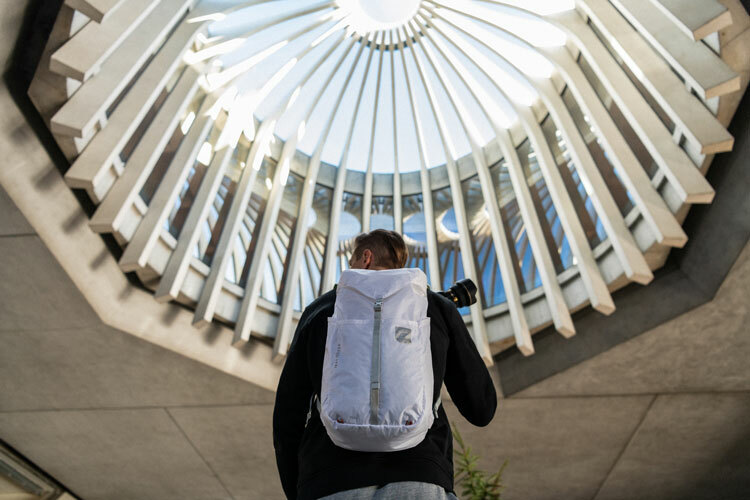 The Luggage & Apparel Limited Warranty is valid for 5 years, beginning on the date of purchase from an authorized Herschel Supply retailer and subject to applicable laws. The warranty will immediately become void if the product is purchased from an unauthorized retailer. Take photographs of the defect, the front of the product and the back of the product. Submit the photos and acceptable proof of purchase to customerservice@herschel.com or through our online form, with Warranty in the subject line. We will inspect your photos and let you know if the defect falls within our warranty policy by issuing a WA number. Once you have completed the warranty process, we will issue you a gift card to our online store for the monetary value of the item (based on our recommended retail price). 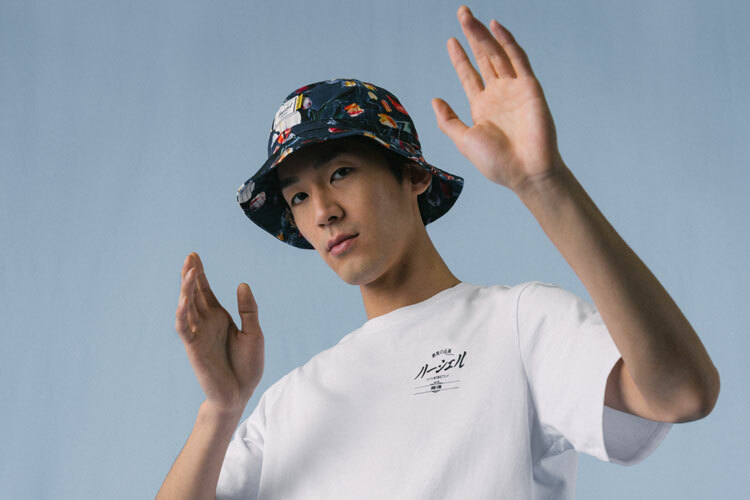 Submit the photos and acceptable proof of purchase) to customerservice@herschel.com or through our online form, with Warranty in the subject line. Once you have completed the warranty process, we will invite you to place an order for a replacement product on us. Currently, we do not have a global repair facility available. However, if you do not wish to continue with a full warranty claim and you elect to have the item repaired by a third party at your own expense, Herschel Supply will not accept responsibility for the cost of the repair. 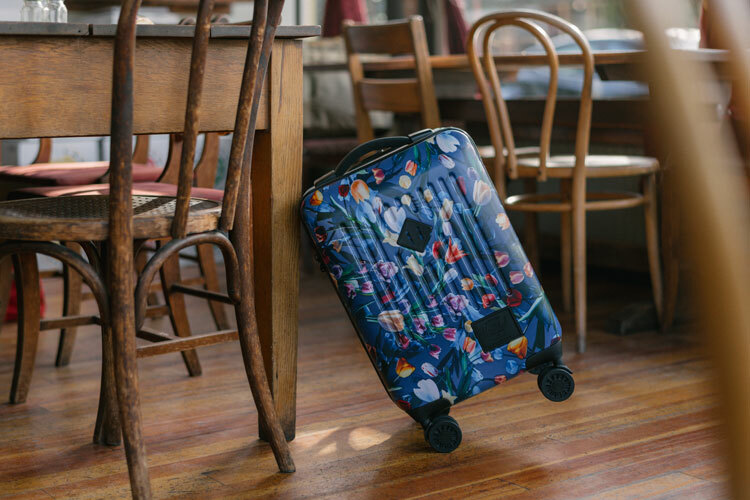 For warranty purposes, “Luggage” is defined as any Herschel Supply products that have wheels and/or a retractable trolley handle. “Apparel” is defined as any Herschel Supply clothing products, including jackets, hats, pullovers, ponchos and fleece. The Luggage and Apparel Limited Warranty is valid for 5 years, beginning on the date of purchase from an authorized Herschel Supply retailer. However, the Luggage & Apparel Limited Warranty will immediately become void if the product is purchased from an unauthorized retailer. Herschel Supply Luggage undergoes rigorous testing to meet Herschel Supply’s quality standards. If you discover a material or manufacturing defect, we will replace or repair the item at our discretion, in accordance with local law and our warranty claims process as it may be updated from time to time. Depleted batteries in our Trade Luggage Power are not covered by our Limited Luggage and Apparel warranty and cannot be replaced by Herschel Supply. Luggage and Apparel warranty claims must be accompanied by an acceptable proof of purchase (as determined in Herschel Supply’s sole discretion) from an authorized Herschel Supply retailer. Purchases made from a counterfeit or unauthorized seller will not be considered. This Luggage & Apparel Limited Warranty does not cover misuse, neglect, accidents, abrasion, solvents or cleaning liquids, damage during transport or any modification to a Herschel Supply Luggage or Apparel item. To the extent that your Luggage was damaged during flight, transport or by any carrier, you must immediately report such damage directly to the transport operator or carrier, as this damage is not covered by the Luggage & Apparel Limited Warranty. We also cannot be held responsible for loss, damage or cost resulting from the use or loss of our Apparel or Luggage products. Please note that general wear and tear, including but not limited to the breakdown of colors and materials over time, is not considered a material or manufacturing defect and is therefore not covered by the Luggage & Apparel Limited Warranty. Except as expressly stated in this section, Luggage and Apparel are otherwise subject to the same general warranty terms and conditions as other Herschel Supply products. Herschel Supply online gift cards are electronic and are issued by email. Simply type in the gift card code when you check-out on our online store to have the value of the gift card applied to your purchase. Herschel Supply online gift cards are only redeemable on our online store. They do not expire. If the gift card you purchase is non-functional, Herschel Supply will replace the gift card. Herschel Supply Gastown gift cards may not be redeemed online and are subject to the terms and conditions printed on the back of the card.